"A Complicated Fix And Fit 2 Ceiling Lights. Same Day As Requested Straight In Job Done!" "Stuart Was On Time No Mess Made The Job Look Easy. 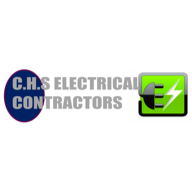 Def Use Again"
"Was With Us In 10 Mins And Diagnosed And Fixed The Fault Quickly"
"Very Professional And Extremely Polite Tradesman. I Would Highly Recommend This A Class Tradesman"